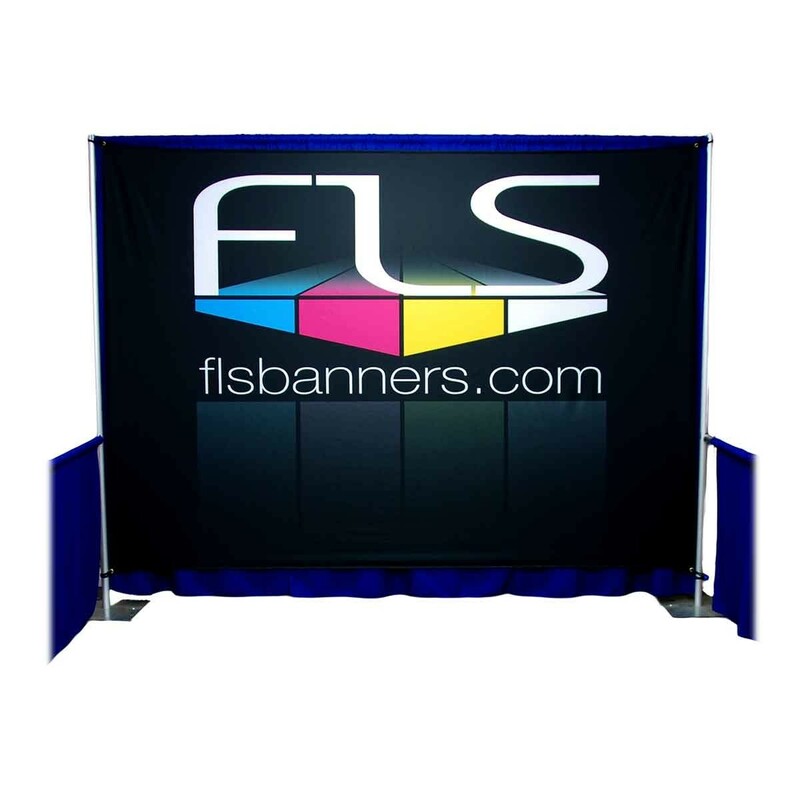 Do you frequently set up a 10ft trade show booth? The Booth-In-A-Bag Exhibition kit is for you. 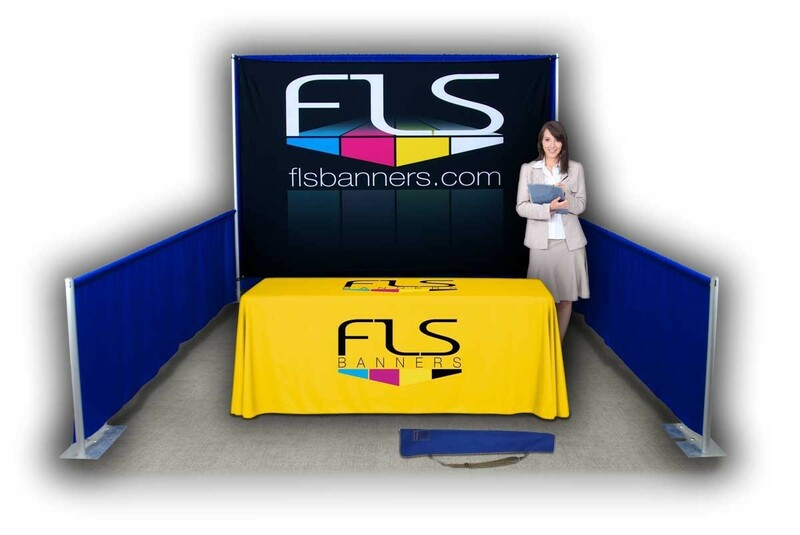 Transform your booth in 10 minutes or less. Both the backdrop and table cover fit in a single bag. You might ask, "How do you offer such a LOW PRICE?" It all starts with utilizing the hardware that the show provides. The full backdrop utilized the 10ft pipe and drape that is already provided. Saving you the expense and cost of moving around your own hardware. 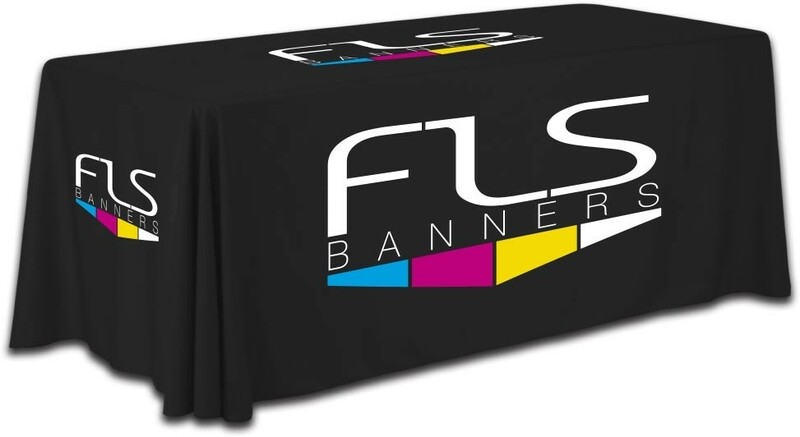 Now add a full-color 6-foot table draped custom print table cover and you have a high-quality professional trade show display that is easy to afford.